Allama Iqbal Open University AIOU Tutorial Schedule Spring 2017 ... that you must submit your assignments before till the last date otherwise ..
all of them will have to submit their assignments works on before a due date. "Raynamiye Tulba" a guide comes with each and every envelop of books issued by aiou. 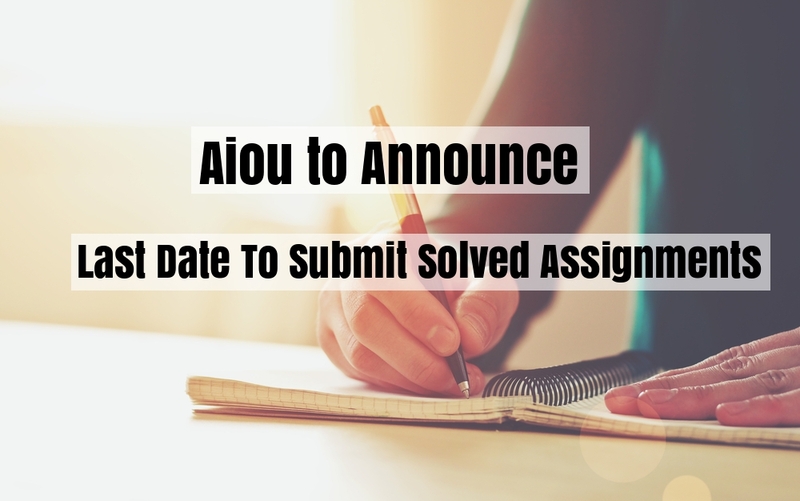 Now Without wasting any more time lets discuss about the last date to submit aiou solved assignments. Here is a complete list to submit you'r solved assignments before these due date's. To Download Aiou Assignment Form Click on it.